Alaska’s caribou are having a moment. Last year, for the first time since 2003, the Western Arctic caribou herd—the state’s largest herd—grew, and by over 50,000 individuals. Meanwhile the Porcupine caribou herd, a close second in size, reached a record high of 218,000 individuals. This is good news for the massive grazers and the Alaskan Native communities that depend on them. But scientists aren’t totally sure why caribou had such a plentiful year, or whether the trend will continue—especially in face of ongoing threats from climate change and Big Oil. “Caribou populations fluctuate over time and the hard reality is we don’t have the ability to identify all the driving forces behind these fluctuations,” Alex Hansen, a wildlife biologist at the Alaska Department of Fish and Game involved in tracking the Western Arctic caribou herd, told Earther. There are about 750,000 wild caribou ranging across Alaska’s treeless tundra. The animals fall into 32 recognized herds, which tend to migrate together in search of food, and calve in the same areas year after year. Caribou are important grazers of lichens, sedges and small shrubs, in addition to providing food for large predators like grizzlies. Caribou are also a key protein source for many Alaskan Native communities, whose relationships with specific herds span thousands of years. Today, there’s growing concern that caribou face existential threats in the form of climate change—which could impact their food supplies and allow new diseases to flourish—and oil and gas development. In December, Congress cleared a legal pathway for companies interested in drilling in the oil-rich coastal plain of the Arctic National Wildlife Refuge, which happens to be right where the Porcupine caribou herd calves every year. Moderow pointed to a growing body of research showing that when oil and gas move in, caribou move out. Despite myriad threats, efforts to predict the future of Alaska’s caribou are challenged by the fact that the animals have always gone through cycles of boom and bust. As this year’s growth spurt demonstrates, the reasons are often murky. 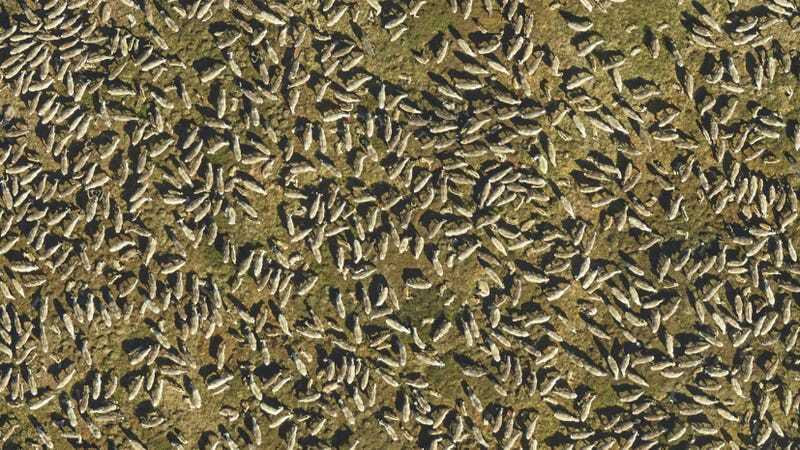 According to aerial survey data released last week, the Western Arctic herd grew by over 50,000 animals last year, raising the herd’s total size to 259,000. (That’s still way down from its most recent peak, of nearly half a million individuals in 2003.) The Porcupine herd, meanwhile, reached a record 218,000 individuals last year, according to data released on Jan. 2. That herd last peaked at 178,000 individuals, in 1989. One explanation for the high census numbers, according to Alaska caribou expert Kyle Joly with the National Park Service, is technological improvements—last year’s survey was conducted using high-resolution digital photography, a major step up from the “World War II era” black and white film cameras previously used since the 1970s. “Some of it is likely due to favorable weather conditions,” Joly added. Right now, no one can really say whether the latest population numbers are a sign of a stable future. The effects of climate change on caribou are proving especially difficult to tease out. “I would say that we do see short term effects on caribou groups related to weather; however there is too much noise in the system, from both a weather and population perspective, to identify any long-term effects of climate change,” Hansen told Earther, speaking of the Western Arctic caribou herd. Some smaller herds have been less fortunate in recent years. The Central Arctic herd, which reached a peak of about 77,000 individuals in 2010, had shrunk to just 22,000 by 2016, the Associated Press reported. Perhaps unsurprisingly, scientists have been at a loss to explain why.